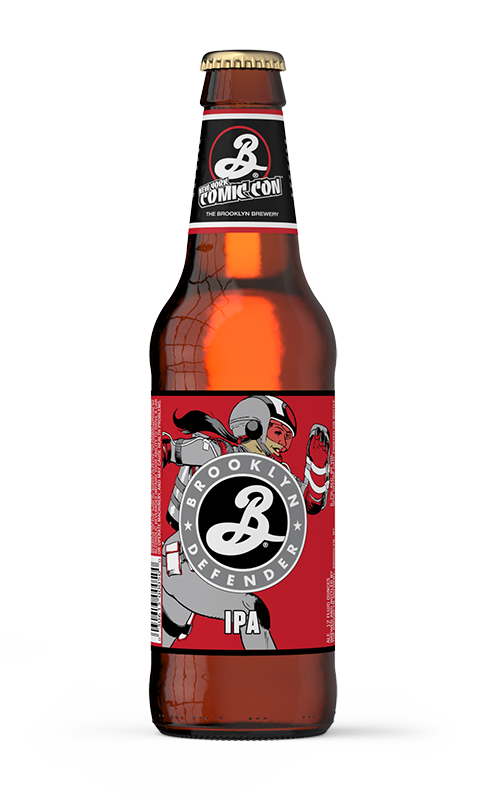 NORWALK, CT – August 03, 2016 – ReedPOP, the world’s leading producer of pop culture events, and Brooklyn Brewery, the craft beer pioneer dedicated to brewing flavorful beer, today revealed the new face of Brooklyn Defender IPA, the Official Beer of New York Comic Con 2016. She is the fifth superhero to join the esteemed lineage of Defenders past and was designed by American comic book artist, Jamal Igle (Molly Danger, Supergirl, Firestorm). As of August 1, the new package design will be available in 27 states across the US and for the first time internationally in France, Spain and Korea. The 2016 Defender is a bold new hero from Brooklyn who rockets through the skies and scours the alleys to defend against the forces of blandness everywhere. Clad in a homemade high-tech armor suit, her constant vigilance and technological brilliance protects brewers, creators and beer drinkers! This year’s rendition will be introduced at a release party at Brooklyn Brewery on August 17 and will be available in bottles and on tap where Brooklyn beer is sold in preparation for New York Comic Con, October 6-9 at the Javits Center. "My father was a graphic artist and I started out as a comics geek kid and then a filmmaker. I feel that even now, through the beer, I'm creating a picture and telling a story, but in a bottle or a glass instead of paper or film,” Garret Oliver, Brooklyn Brewery Brewmaster explained. “This is the fifth year of the Defender, and although the character changes, the Defender's challenge remains steady and vivid - to protect creativity, individuality and boldness of flavor for the People. What can be better than that? I think Jamal and I have the coolest jobs on earth!" 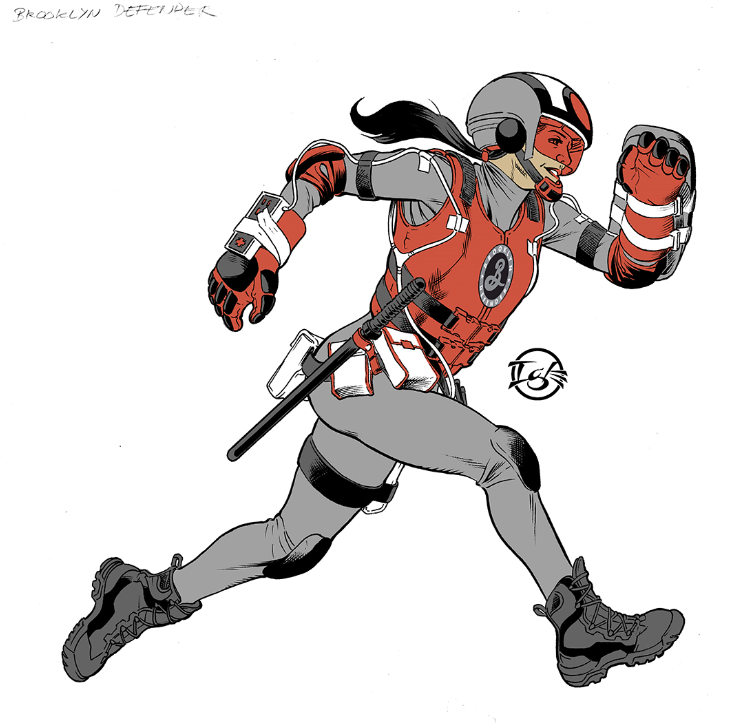 In celebration of the East Coast’s largest pop culture festival, renowned comic book artist and editor Jamal Igle crafted the bold spirit of the 2016 Brooklyn Defender to embody the modern hero. 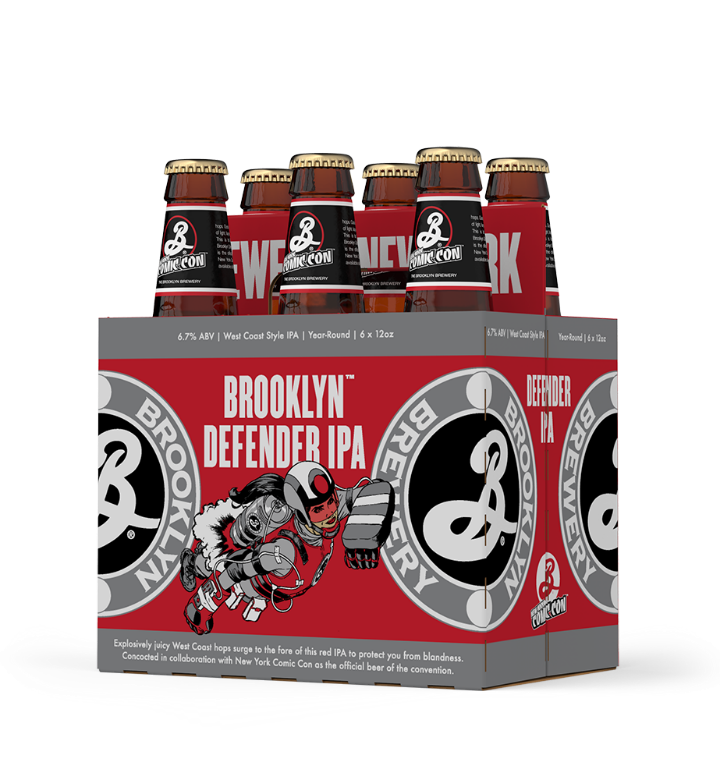 The Brooklyn Defender will protect New York from boring beverages at the 2016 Defender release party at the Brooklyn Brewery on Wednesday, August 17 from 8:00 PM – 10:30 PM. For more information and to RSVP, visit NewYorkComicCon.com/Defender. For the latest New York Comic Con news, check out NewYorkComicCon.com and NYCC’s social media pages (Facebook, Twitter and Instagram).